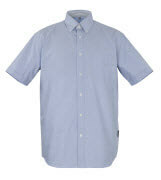 If you are looking for just the right work-shirt, you will find a wide selection at MASCOT. Find your favourite product across models, designs, features and colours. We have shirts with either long or short sleeves, and products in either a modern fit or a traditional fit, so you can find the type that suits you best. Shirts from MASCOT can be worn by anyone, but to ensure the best fit, we also produce products designed especially for women. Perhaps your workplace is looking for a professional solution to strengthen the corporate identity and brand. MASCOT offers classic shirts in neutral colours such as black, white and light blue. Use the tops under a knitted jumper, over a T-shirt or alone, depending on how many layers you prefer. If you wish to stand out at your workplace, you will also find shirts where trends and unique details are in focus. For example, you will find quilt-lined products, which can be used closed or open. 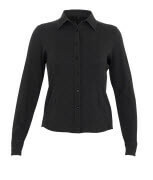 These tops are perfect for cold workdays, or can function as a replacement for a jacket in warmer months. To ensure ultimate comfort, all long-sleeved shirts have cuffs with button adjustment. A few styles also have functional pockets to be used for a pen or a mobile phone. At MASCOT, it is easy to find the shirt that matches your needs, regardless of whether you work in an office, in the production or on a building site.